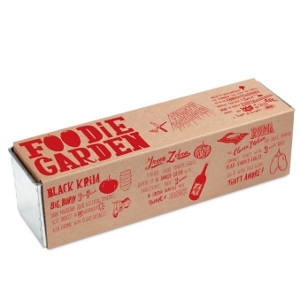 Get Growing with these products from Noted! Foodie Garden Tomato Take Over Kit- Foodie Garden is the growing kit for food lovers, chefs and gardeners alike. The kit is complete with coco fiber wafers, seeds and instructions. Once started, plant can be transplanted to patio containers or the garden to fully mature. 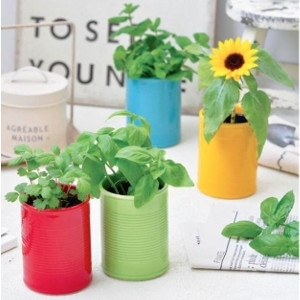 Can+Plant Mint and Can+Plant Sunflower- Can + Plant is an ordinary tin can which has been cast in ceramic to turn it into an extraordinary cultivation kit! Comes with everything needed to start growing one of two plants (Mint or Sunflower). Once the plant is harvested or transplanted, the can is reusable as a vase or container for many years to come.